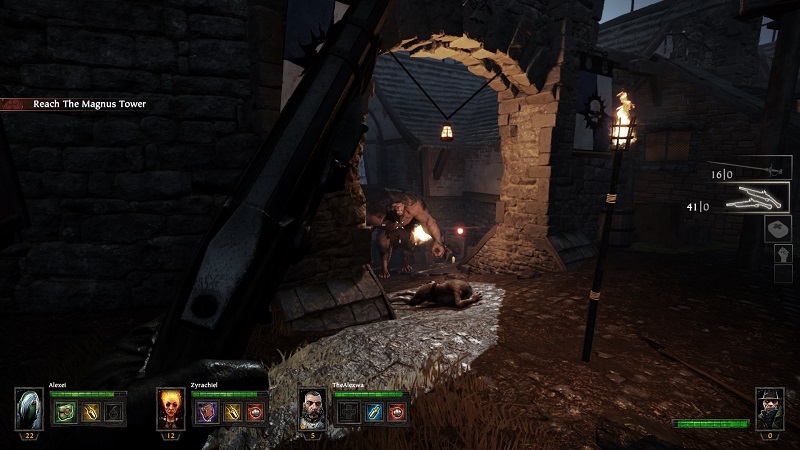 Warhammer End of Times Vermintide takes inspiration from Valve’s first-person survival shooter – Left 4 Dead. Wait, let me rephrase that. 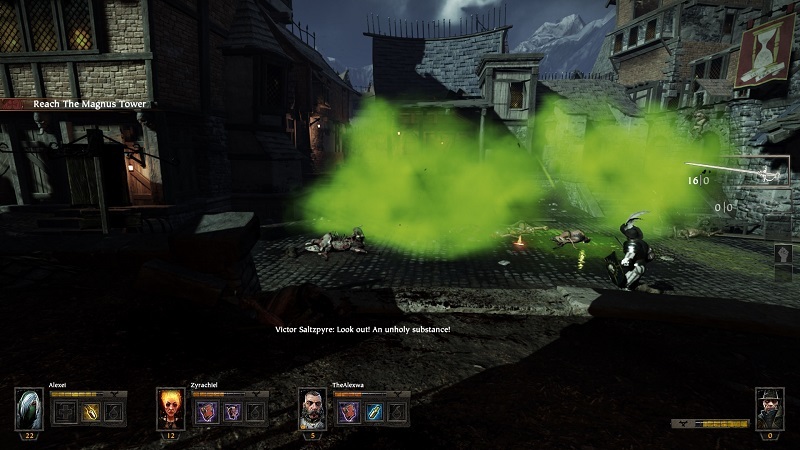 It copies everything from the Left 4 Dead franchise – from team members shouting where potions are located, how the silhouettes of your allies glow to exactly replicating how the camera pans to the back of your character’s head when the game starts. It’s pretty brazen with what it copies. But hey, why fix something that doesn’t need to be fixed, right? The co-op formula remains the same. 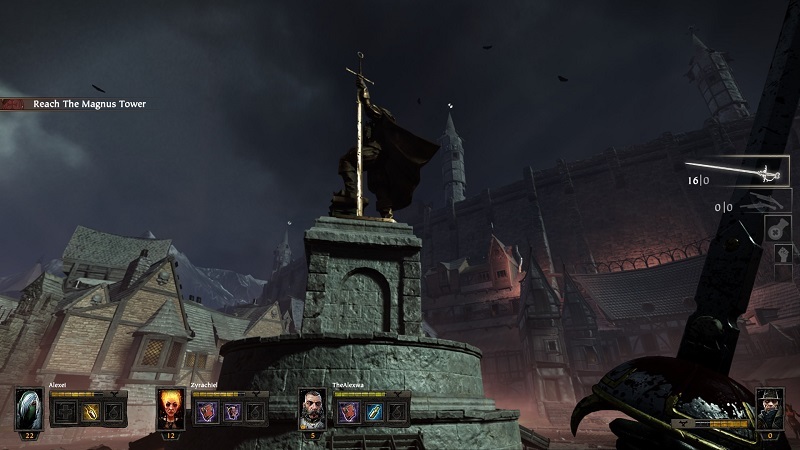 Vermintide builds on top of it and brings a medieval ambience to the survival horror genre. And I have to say – I’m quite pleased with this copy-cat. Cue in St. Vincent’s Paris is Burning. Instead of zombies, you are attacked by humanoid rats. The similarities are obvious. 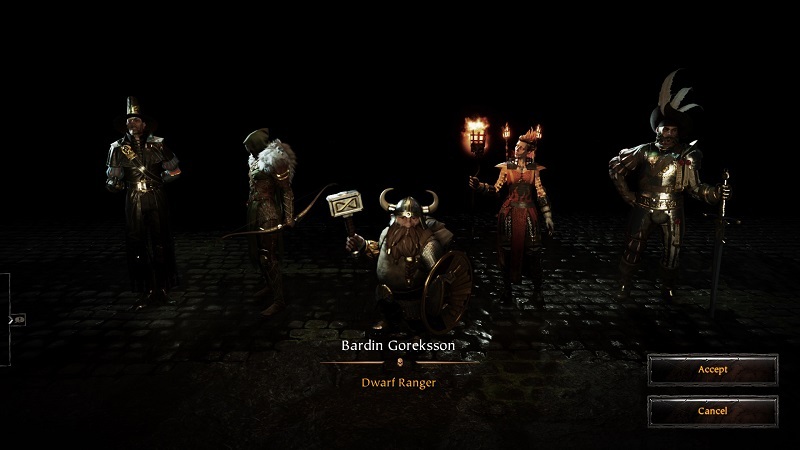 There are five playable characters to choose from, each with his own specific role – at least, in my mind; and abilities that will help you get through the 13 levels of Vermintide. Your team, however, will be comprised of four players – if by any chance you can’t get paired with internet strangers, or, simply put, you lack friends, A.I allies are spawned instead. Missions are replayable but there’s not actual plot to follow – per se. It does a very good job providing enough context so you don’t feel like you’re bashing heads just for violence’s sake, but die-hard fans have realized that it strays away from the source materials. I won’t go into spoiler territory, but I know how everything ends and it ain’t pretty for anyone. At the beginning of each mission, there’s a brief overview that sets an eerie and foreboding mood – this is mainly because voice-acting is just downright gorgeous. During stages, you can hear your characters argue with each other back and forth and you understand that your team is comprised of unlikely allies. 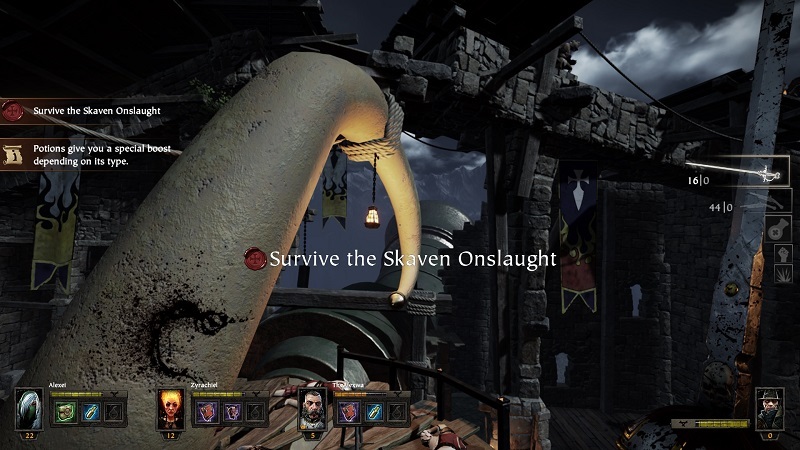 It makes it look more alive, more palpable, and paired with an intense feeling of doom, it makes Vermintide’s multiplayer experience pure fun. I wish you were cake. Each character has both ranged and melee attacks. However, regardless of what champion of justice you pick, they’ll all feel the same. You attack with a press of a button and point the camera at an unlucky foe. As soon as your metal tastes blood, the sounds of blade meets flesh, juice starts a dripping comes out as severe and realistic. Sound effects are scrumptious with every little crackle and roar shouting Warhammer. Fight fire with fire, I always say. The blood-spattered screen perfectly conveys cutting through hordes of enemies and it’s even more obvious when you lure rat packs in a Battle of Thermopylae skirmish – read, 300 the movie. It doesn’t rely that much on strategy, and delivering killing blows left and right is all you need in order to get through the level. That is, if the team functions as a team. 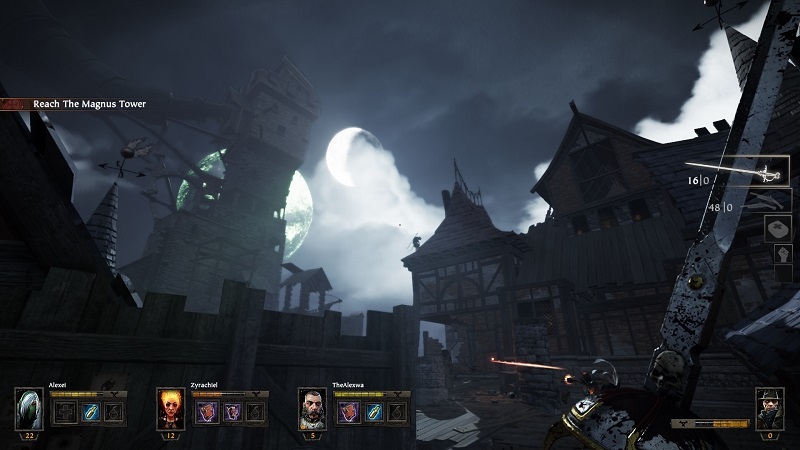 If your Bright Wizard goes lollygagging, searching for Tomes and potions, well then, let’s say you won’t enjoy Warhammer End Times Vermintide that much. The only time when you actually need to employ some sort of tactic is when a Tank, sorry, Rat Ogre comes into the mix. Keep him at a distance and try to chop his head off immediately. Jump around, throw grenades, pop some speed pots and that’s about it. With the mention that the latter is more proficient at dealing rapid damage than its Left 4 Dead counterpart. 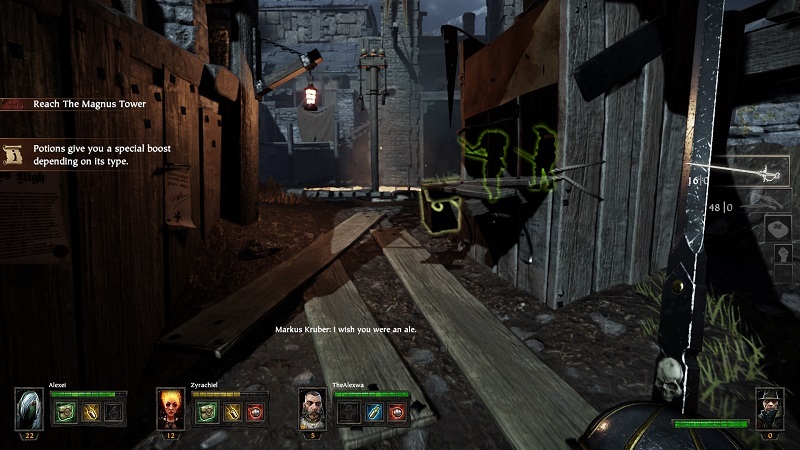 What I mostly loved about Vermintide is that even though it’s a Left 4 Dead clone, it tries to individualize characters – and I’m not talking about personalities here. Take the Bright Wizard, she needs to vent the heat out of her body or she’ll explode. It’s not an original mechanism, it follows the traditional weapon overheat mechanic but it’s a nice and sort of refreshing touch. The elven Waywatcher is faster than his allies, but just slightly, and he can zoom the sight of her bow to better pin a rat on the wall. They add a drop of variety – nothing exciting to be frank, but still it’s something new. Okay, fine, we can’t be friends. Then, you have the loot and upgrade system, which tries to add to the Left 4 Dead formula. After you complete a mission, you can roll a set of dice. Depending on what you roll, you’ll be awarded items – the stronger the roll, the rarer the gear. You can up your chances by adding more powerful dice by searching for them in missions or by carrying a Tome with you – be warned, the Tome and Medical item share the same slot and you can carry just one! Not one of each, just one! 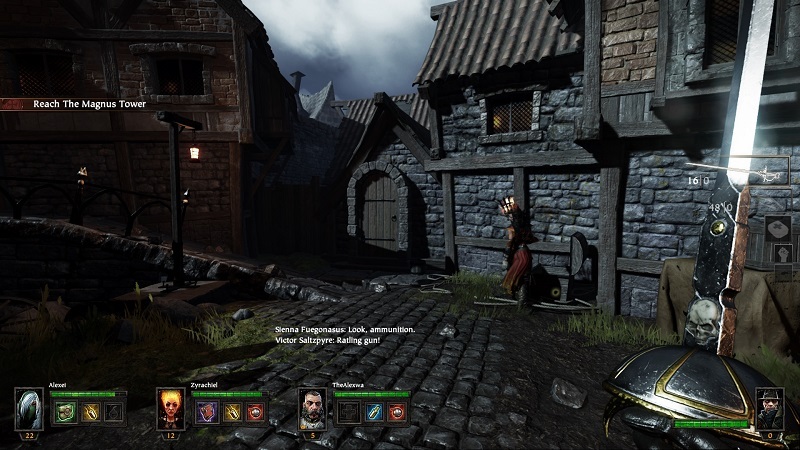 Vermintide encourages players to risk and explore the world, sacrifice healing items in order to gain better gear – this not only incentivizes cooperation, but also a rewarding sense of accomplishment is bestowed on the team. You see, if any players finishes a stage with a Tome in his inventory, then every team member gets an extra die. I like to think that he takes to the rooftops to remember about the time he and his wife, now deceased, first met. Unfortunately, the loot system is kinda’ bonkers. Mainly because of the lack of weapons and armour. You’ll be gleefully jumping when you’ll first unlock a flaming sword for your Bright Wizard, but after the same old generic sword drops for the fifth time, you sort of get nauseous and irritated. 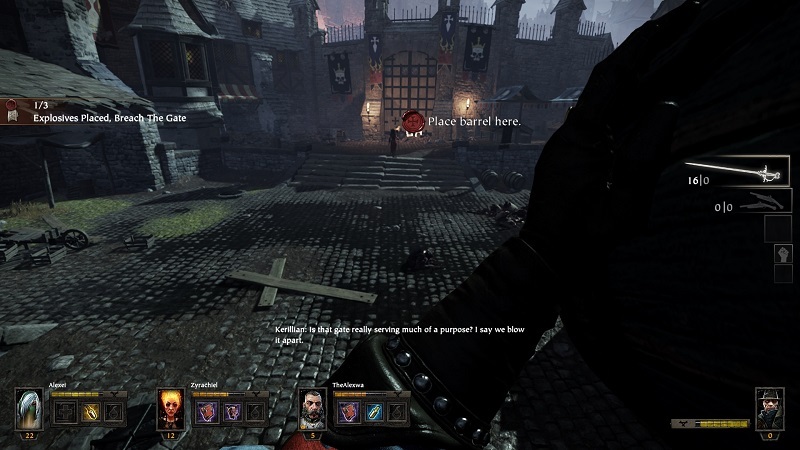 However, Vermintide offers the possibility to blend items to create new gear by using the weapon forge. The outcome is totally random and you don’t know what you’ll get – usually, the same old item repeats itself. And this is where my statue will be once I’m done eating all of these rats. What? We have to KILL them?! The loot and upgrade system is a much appreciated addition to the L4D formula, yet I do hope that Fat Shark – the developer; adds more items and crafting mechanics. Level design is better than Left 4 Dead, but they do tend to make players repeat the same old objectives – get from point A to point B, put a barrel there, protect this thing over here and so on. Sorry, I had Taco Bell for – breakfast, lunch, mid-lunch, afternoon snack, dinner, second dinner, and late night snack. But considering that’s the point of horde styled games, it shouldn’t be taken as a flaw. 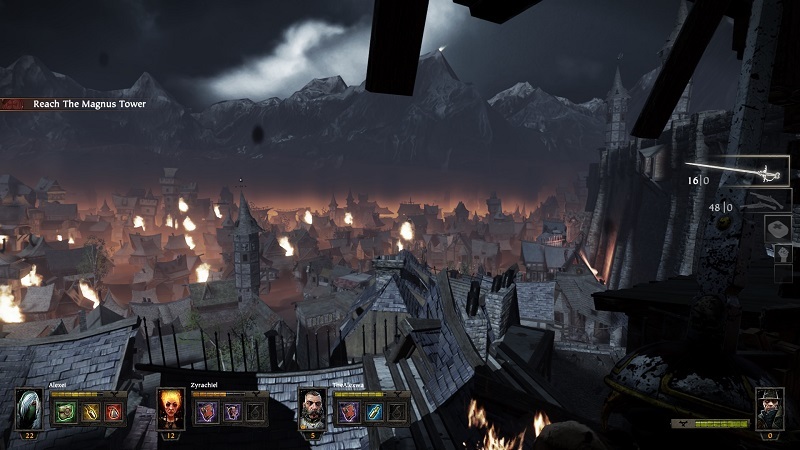 I was expecting more out of Warhammer End Times Vermintide in terms of new additions solely because it’s a clone. Okay, let’s make some sweet music together. If you move passed the fact that it’s a Left 4 Dead clone you can start to actually enjoy the game for what it truly is – a pretty great coop survival first person shooter. It’s set in a fantastic world, with gruesome visuals and top-notch sound effects. It’s not a masterpiece, visually, but it’s dark and gritty style fits like a glove. I would have loved more loot variety, better AI, more maps and more game modes, but that’ll probably come in time. Considering that it has already sold 300,000 units, it won’t die any time soon. Even though it’s a clone, it’a a well-executed and highly enjoyable replica. 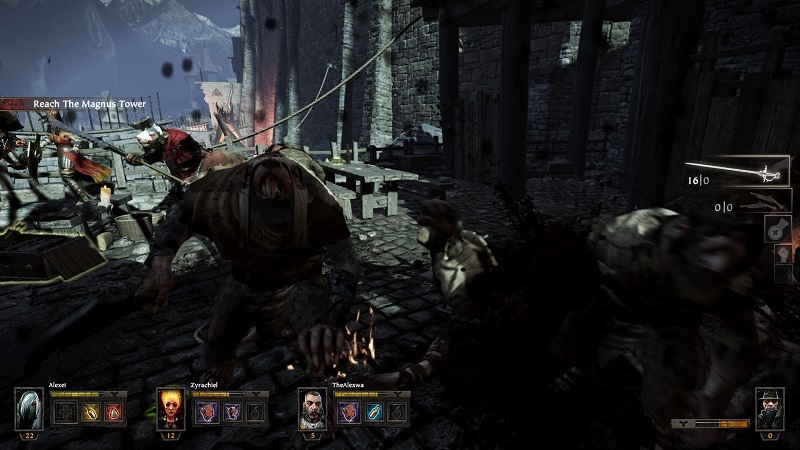 Download Warhammer End of Times Vermintide on Steam. At the moment of writing, it costs $27.99. And don’t forget to check our Game Deals and Promos page to get the sweetest video game deals for your favourite games. Christian has been gaming ever since his parents bought his first PC. His earliest gaming memory goes back more than 15 years ago, a moment in time that he acknowledges to be the starting point in mastering Street Fighter. 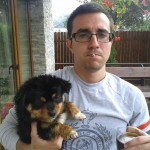 As a blogger, he is very enthusiastic about every release he writes about, hoping readers will benefit from his gaming experience. Concerning the games he enjoys playing the most, he looks for good realism more than for special effects. Apart from video games, he loves strategy board games as well, such as Risk, Diplomacy, Game of Thrones and The Settlers of Catan.